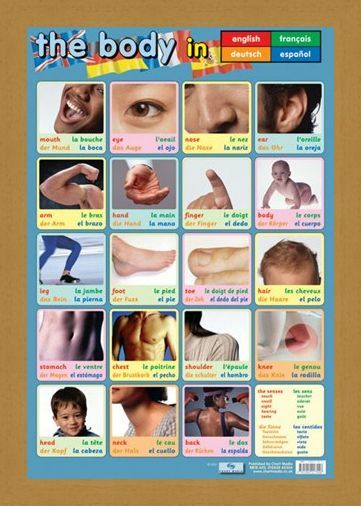 Educational Mini Poster: Get to know every inch of your body in an impressive four languages with this stunning body parts glossy poster. 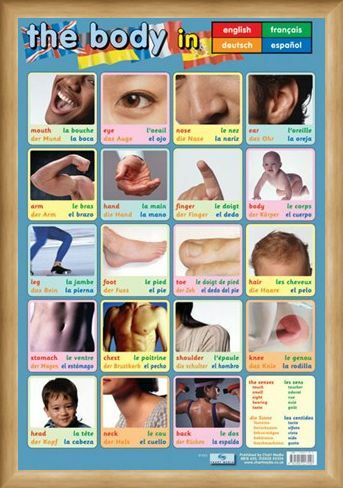 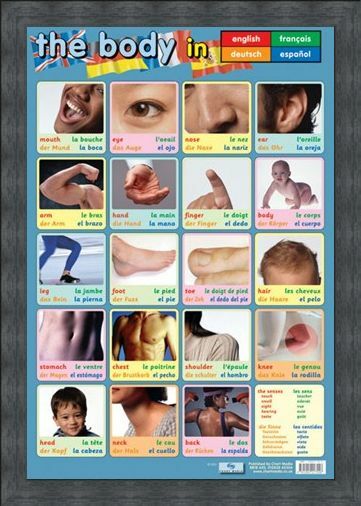 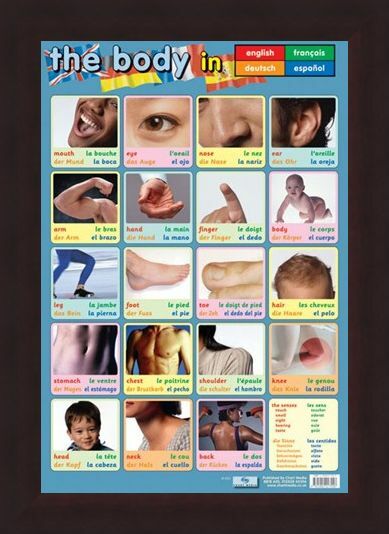 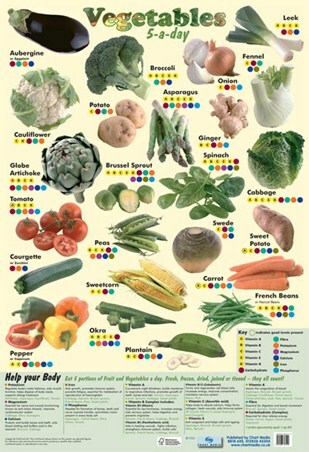 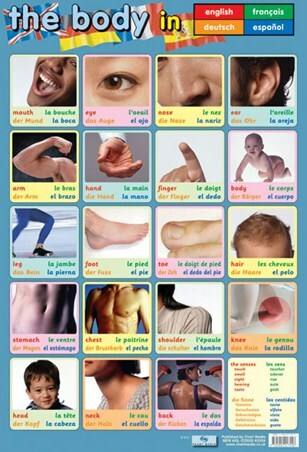 Learn how to say Mouth, Eye, Nose, Toe, Stomach, Back and many more in French, German, Spanish and English with this fun packed poster that also illustrates the senses and how to pronounce each of these in the four languages. 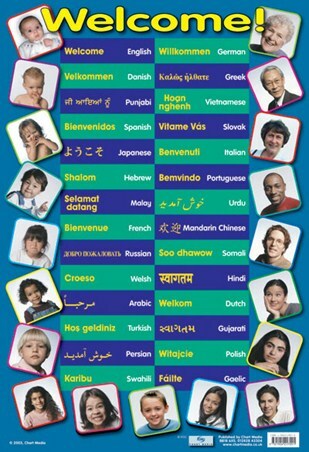 With examples such as la bouche, der Mund and la boca for mouth, each country is represented by a separate colour of green, blue, orange and red which are featured in a colour coded key to keep things fun and simple. 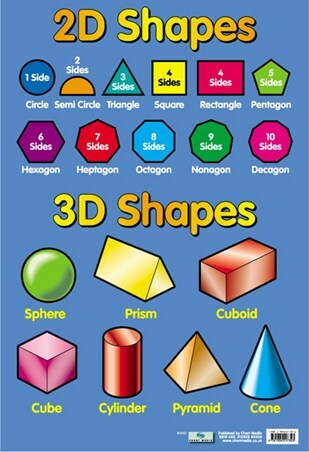 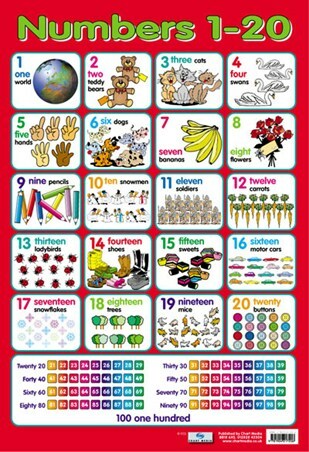 Impress your friends and teachers with your foreign tongue with the help of this brilliant poster that is sure to keep you entertained. 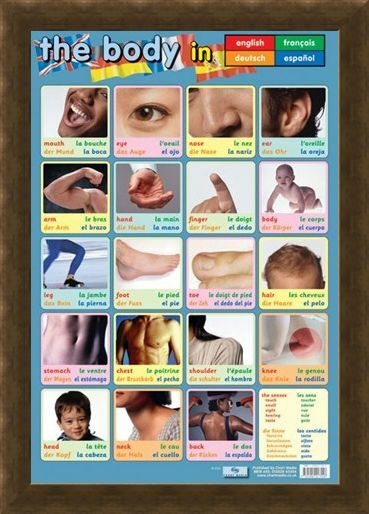 High quality, framed Body Parts, Language Guide mini poster with a bespoke frame by our custom framing service.